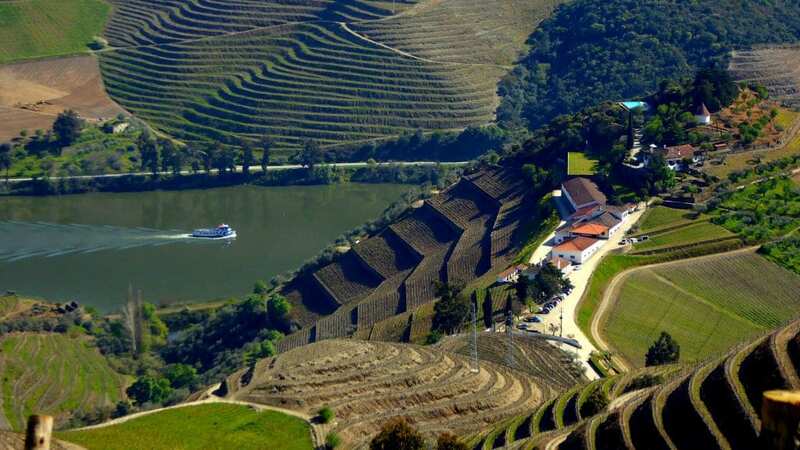 Why visit the Douro Valley? There can be few more awe-inspiring sights than a visitor’s first glimpse of the steep, terraced vineyards of the Douro. Ancient vines cover the hills, which roll down to the magnificent Douro River creating a timeless scene of small villages and whitewashed houses perched high above the valley. It is simply one of the most beautiful places on earth and every bit the equal of Tuscany, Napa and the Loire. Vines have been cultivated along the Douro Valley for centuries, primarily from the five signature Douro varieties of Touriga Nacional, Tinta Roriz, Touriga Franca, Tinta Barroca, and Tinto Cao. It is the third oldest wine appellation in the world, after Tokaj and Chianti in Tuscany, established in 1756. The development of the fortified Port wine category, the Douro’s most famous export, occurred in the late 17th century after a visit from two English wine merchants to the Abbot of Lamego. They were given their first taste of wine fermented with distilled spirit and promptly brought the entire supply. Subsequently, many famous British merchants established shipping operations in the nearby city of Porto, including Cockburn, Graham, Sanderman, and Taylors. 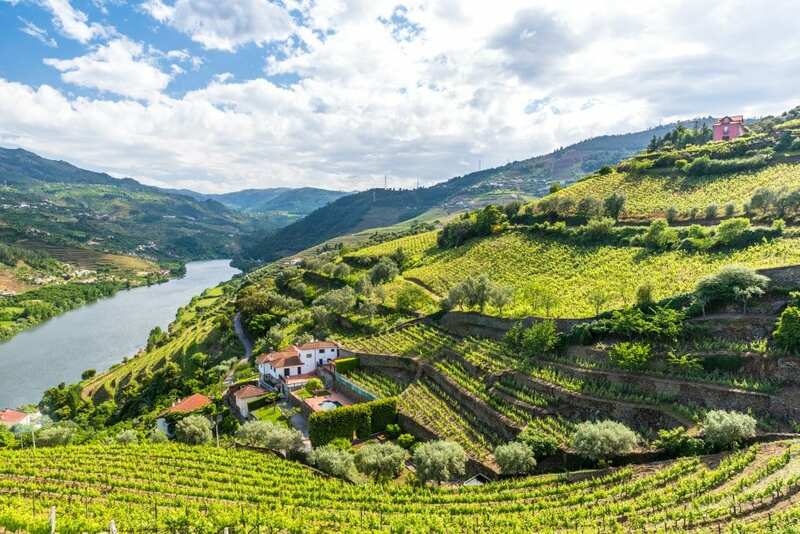 Today, the Douro region has become extremely accessible to visiting wine tourists as many new superb hotels and gastronomic venues have opened their doors – the region’s major estates have also realized the value of wine tourism and now come equipped with lavish tasting rooms. And that is even before taking into account the superb range of Douro wines themselves. Much, much more than simply the land of Port, a fantastic revolution continues to take place in the Douro with remarkable table wines being produced by brilliant young winemakers. There are so many exciting new wines of unprecedented quality for this ancient wine-producing country that it is difficult to know where to start! Moreover, it’s an established fact that while you’re on holiday, great wine tastes even better. There is something quite special about visiting the vineyards of a region, exploring how the wine is made before retiring to your hotel for a gourmet meal and several glasses of fine wine. But even if you’re just accompanying a seasoned wine lover and your passions lie elsewhere, the Douro doesn’t disappoint. A host of marvelous attractions await, including superlative restaurants, contemporary museums, inviting spa hotels, colorful food markets and much more. 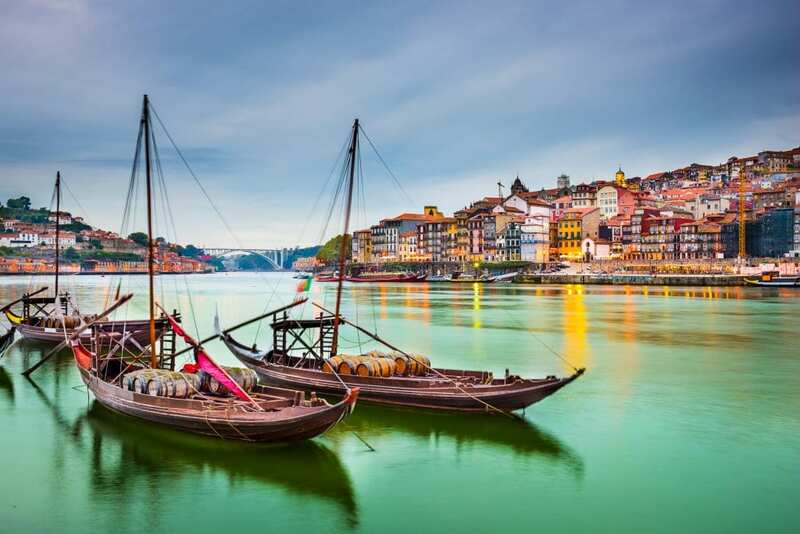 It is the perfect introduction to the vibrant and complex local culture, as unlike more developed resorts in the south, the Douro remains very much a ‘real’ destination and a stronghold of Portuguese customs, wine, and cuisine. By far the best times to visit the Douro are in the spring (April-early June) or autumn, especially September. The weather, even in September, tends to be reliably warm and pleasant during these periods without being stifling. The region buzzes with activity and of course, you can catch the harvest if you visit in September/October time. The Douro region is easily accessible from the city of Porto, which is serviced by a modern, efficient international airport. Infrastructure wise, the city is very geared up to meet the needs of today’s traveler; Porto’s airport was voted ‘Best International airport in Europe’ by the ACI- Airport Council International. Direct flights arrive daily from various airports in the UK – airlines include Portugal’s TAP and low-cost carrier Easy Jet. However, many international visitors arrive at the main hub of Lisbon and then take a domestic flight to Porto. 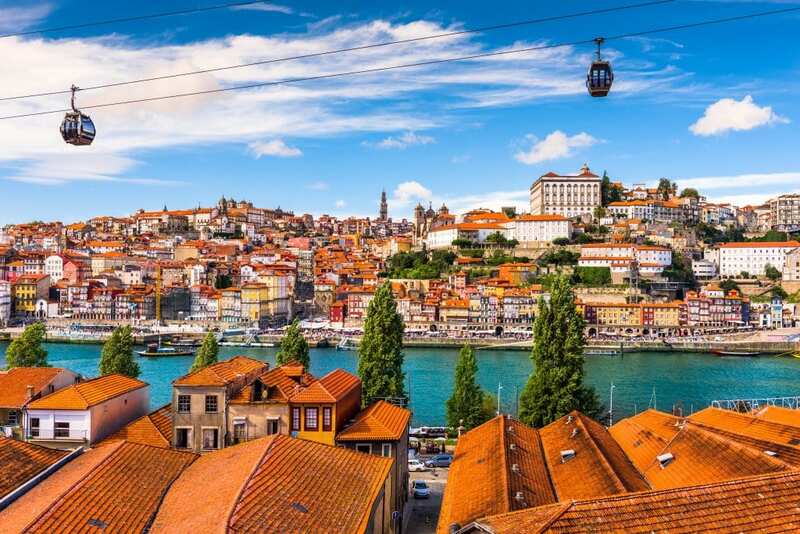 If you don’t wish to fly, then another option is to disembark at Porto from one of the many cruise liners that make a stop at this beautiful city. Many people also elect to drive across from France or Spain, the city is well-connected by an efficient motorway network. Alternatively, why not simply take the train; the city’s rail network connects you to Lisbon, Spain and beyond. For more information on Portugal’s train network – http://www.eurail.com/trains-europe/trains-country/trains-portugal. Whether you’re in search of delicious Port wines, fine gastronomy or you simply want to relax and enjoy being pampered at a luxury retreat, you’ll undoubtedly find what you’re looking for in this part of the world. What could be more relaxing then wandering the streets of Porto’s charming riverside quarter, a place of such great historical importance that it has been classified a World Heritage site by Unesco? Many fascinating attractions await the visitor, including Porto’s beautiful cathedral, known as Se in Portuguese. Originally a fortress church perched high above the commercial Baixa district, the upper levels of the cloister offer wonderful views across the city. Tourists must also not omit the Barredo quarter, which leads down to the famous Ribeira district’s colorful tiled houses with pastel facades. Many exciting bars and restaurants now fill this lively neighborhood, affording those all-important breaks from sight-seeing! Before you leave this wonderful city, please find time to take a scenic river cruise along the Douro. Traditional Portuguese Rabelo boats ferry visitors daily in the summer months, historically they were used to transfer goods and people up the Douro from the city. Leaving from the Vila Nova de Gaia quay, mini cruises are possible, or groups can hire out boats for a 1-day cruise often including lunch and refreshments. The Douro region is now seriously geared up and ready to welcome wine tourists. 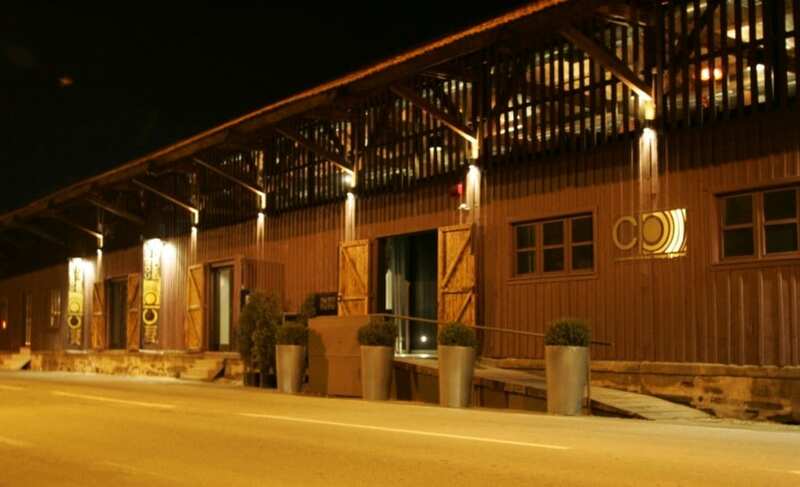 In addition to visiting the historical headquarters and cellars of the major shippers in the Vila Nova de Gaia district, many properties now bottle the wines on the premises and boast fantastic guest facilities. Our first destination of choice in Vila Nova – easily accessible from the center of Porto – would be Graham’s headquarters. Owned by the famous Symington family and founded in the 19th century, the range and quality of this firm’s ports is unparalleled; offering opulence, rich fruit and a fine structure that allows the wines to age extremely well. In addition to a tour of the historical cellars, visitors are welcome to sample the range in a modern, Napa-style tasting room or even book a private room for a more in-depth experience of Graham’s vintage style. A lovely museum and well-stocked wine shop are complimented by their top flight, in-house Vinum restaurant serving local specialties and of course, a massive range of both still and port wines. Another exemplary port producer and historic house that must not be omitted is Taylors. The structure, depth, finesse, and elegance in all their ports set this great bastion of quality apart from its competitors; their vintage port is one of the finest and age-worthy in the region. As you’d expect, such a great name demands a suitably impressive headquarters, standard tours of the cellar include a tasting of some of the range although bespoke tours including blending workshops are also available. 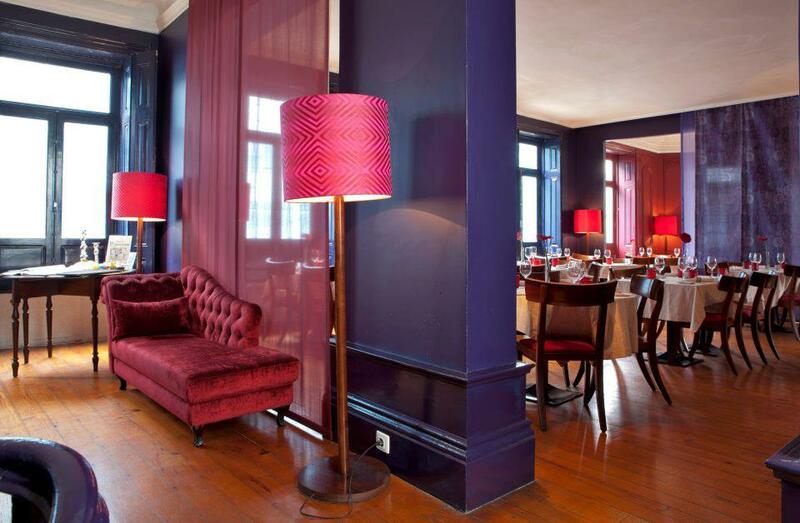 In addition to their impressive retail outlet, delicious Porto gastronomy can be enjoyed at Barão de Fladgate”, Taylor’s private function room and restaurant, which has the luxury of stunning views across the city, arguably the best in fact. Visitors are always given a warm welcome at Quinta do Crasto, following the dramatic drive up a winding, steep road that leads to the property. With a superbly sited winery and over 70 ha of vineyards, Crastro has built an enviable reputation for outstanding port and table wines. The location itself is worth a fortune alone, and the Quinta comes well equipped with tasting facilities and can offer poolside lunches or dinner in the warmer months. Make sure to climb up to the chapel for outstanding views and ask to taste their Late Bottle Vintage ports. They are superb! Next on our list would be Passadouro, a historic Quinta that dates back to the 17th century. Located in the stunning and remote sub-region of Cima-Corgo, the estate was purchased by a Belgian entrepreneur, Dieter Borhmann in 1991, who has since invested heavily in crafting a superlative range of modern style reds, a vintage port, and superb white wine. The estate welcomes visitors and boasts a gorgeous guest house; either individual rooms or the entire house can be rented out, the estate will also organize wine pairing dinners for discerning gastronomes! Quinta de Gaivosa is one of the region’s most beautiful estates and boasts an all singing and dancing modern winery facility and a large tasting room, perfect for sipping delectable Douro wines. It is one of most visitor-friendly estates in the entire valley, happy to welcome visitors and offer guided tours and tasting sessions – afterward why not take lunch at a nearby restaurant? Lastly, serious Port lovers cannot omit a visit to the Quinta de Vargellas, the source of Taylor’s famous Vintage Ports that age for many decades. A historic Quinta in the Douro Superior, Vargellas welcomes visitors to try its legendary range of Ports in suitably elegant surroundings. 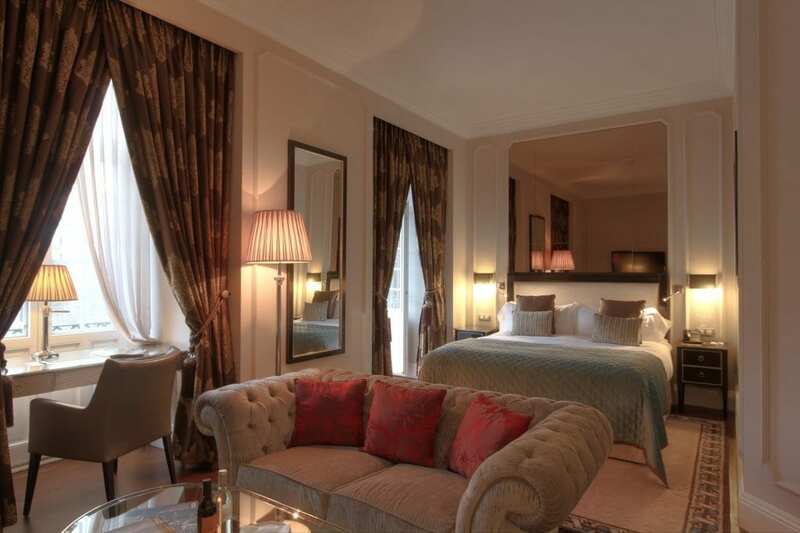 Our favorite hotel for decadent luxury would be the Yeatman in Porto. Owned by the famous Port shipper Taylors, the Yeatman’s suites are some of the finest in Portugal, with stunning views over the Douro. The spa is also undoubtedly a major highlight, with a gorgeous infinity pool and range of treatments, including specialist wine treatments. Not to mention the Yeatman’s Michelin starred restaurant, which serves some of the most exciting and inventive cuisines in the Douro, presided over by master chef Ricardo Costa. Luxury personified! This 18th century restored palace offers the very best in service, professionalism, and amenities, ideally situated in Porto’s main square – the Praca da Liberdade. Few hotels seamlessly blend old-world charm and modern conveniences as well as Palacio Freixo, which offers 105 bedrooms and suites all furnished to the highest standard and one of Portugal’s best spa facilities. Their signature restaurant, the Astoria, is one of the best in the city, serving modern, refined Portuguese cuisine enhanced by an extensive Portuguese wine list and a very helpful, English speaking sommelier! The very best of what the Douro can offer in design hotels, Aqua Pura is a rural, yet totally modern retreat like no other. Its 50 rooms are individually designed and styled with a real flair and imagination, everything from European chic to Far Eastern exoticism. The amenities are some of the best in Northern Portugal: including a top-notch luxury spa, fitness center, terrace bar and the gorgeous Douro facing pool, which boasts dreamy views of the surrounding rural bliss. Cutting edge Portuguese cuisine is served right at their flagship restaurant, Almapura. Service is exceptional and if this hotel has a fault, well we can’t see it! 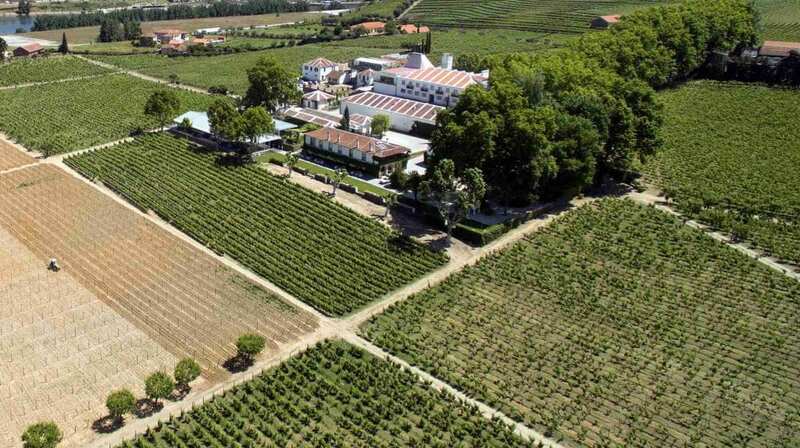 It would be hard to imagine a more charming or welcoming vineyard hotel than Quinta da Pacheca. This historic estate, with over 50 hectares under vine, offers wine savvy visitors the option of experiencing life as a winemaker – especially at harvest time – yet offers all the comfort and luxury of a modern hotel. With gorgeous views of the terraced vineyards and an on-sight winery, guests are literally immersed in the Douro’s timeless landscape. Comfortable, stylishly decorated rooms are joined by a lovely garden and superb restaurant, with food and views to die for. In this delightful corner of Porto, close to the Douro lies this first-rate gourmet restaurant offering inventive interpretations of classic Portuguese cuisine, in a suitably modern setting. Perfect for a romantic evening, the tasting menu is a popular choice for diners with dishes that vary according to the season; you might encounter escalope of foie gras with honey and apple ice cream, Atlantic lobster and beef lions with soft cheese, wild mushrooms and corn transmontane – divine! Top-notch but unstuffy, Pedro Lemos quickly fills its tables, especially during the summer months when diners can enjoy the inviting terrace. Everyone is warmly welcomed, both regulars and visitors, by the restaurant’s team of professional and courteous staff, who insist everyone has a wonderful taste of modern Portugal. Head chef Pedro Lemos’ cooking is precise, imaginative but never over-complicated; delights such as loin and belly of Azores Tuna, roasted black pork, and coffee and tonka bean in a chocolate emulsion. The wine list is also wonderfully varied, understandably biased towards Portugal, and not overpriced. Worth the slight ‘trek’ to the village of Escelhao, O Lagar has been serving superlative, classic Douro cuisine to local winemakers for many years. The setting is perfect, a cozy inn like a restaurant full of laughter and people seriously intent on having a good time. Friendly service and an exceptionally long wine list complete a brilliant restaurant. 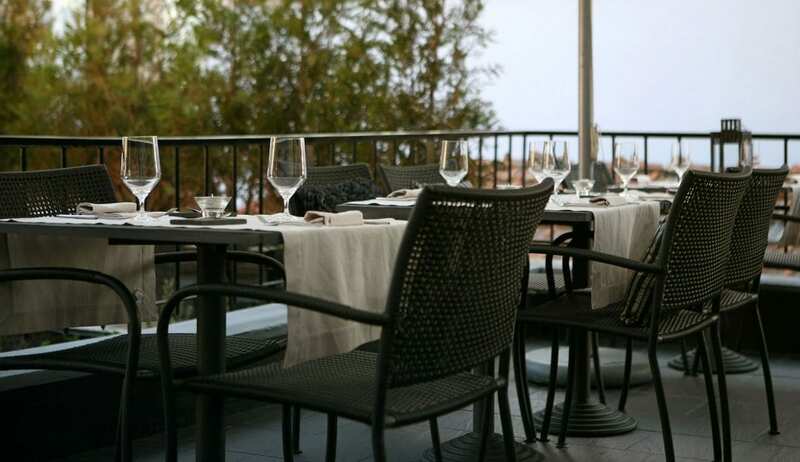 The flagship restaurant of the excellent Aquapura hotel and spa, Almapura serves exciting, inventive modern Portuguese cuisine in a clean, brasserie-style restaurant and ideally positioned terrace in the warmer months. Service is professional without being overbearing, but the real reason you’ll come here is for the views across the surrounding vineyards and river in their majestic glory. D.O.C opened in 2007 and quickly became ‘the place’ for winemakers, locals, and discerning visitors to enjoy a superb meal in spectacular riverside surroundings. Of course, it would have been so easy for this venue to simply churn out lazy food and trade on its location, the dining terrace is worth the price of a meal alone. Thankfully, however, D.O.C head chef Rui Paula’s top priority is crafting exquisite dishes, with his international take on local food traditions. The wine list is similarly one of the best in the region, with (unusually) some choices from further afield to compliment the usual Douro suspects. If you’re curious to sample one or two of the finer points in Portuguese haute-cuisine (no rustic, oversized portions here) Castas e Pratos is the place to start. The kitchen merges Portuguese culinary traditions with international flavors and cooking techniques with spectacular results. Located in a joined building with a rather well-stocked wine shop, the interior is unusually clean and modern for the Douro, attracting a well-heeled, international crowd of foodies. 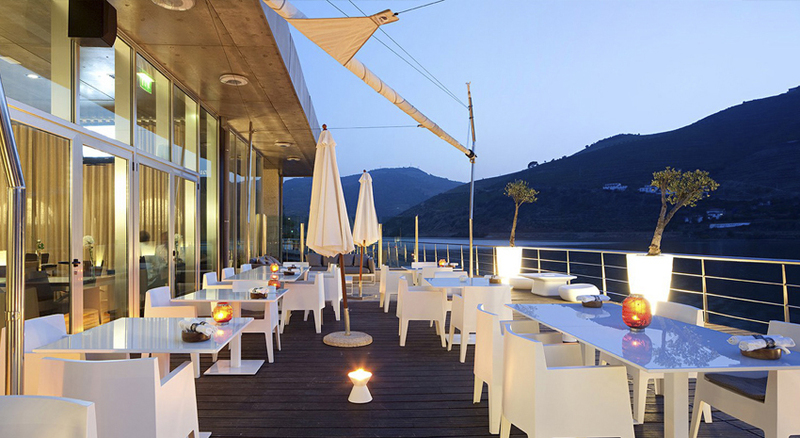 They come for such delicacies as salt cod carpaccio, superlative duck breast and the best Bacalhau in the Douro. For dessert, you must try their chocolate fondant and forest fruits sorbet; guests usually request seconds!